InterMetro (Metro) has been the world's leading manufacturer and supplier of storage and transport products for over 80 years. InterMetro's focus is to provide complete solutions that optimize space, improve workflow and ensure safety. 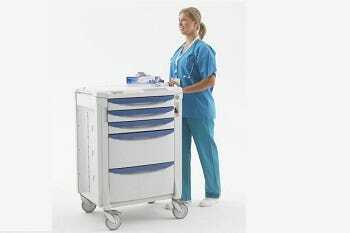 InterMetro offers the latest innovations in shelving products, carts, point-of-care and medication management solutions, a full line of automated medication dispensing equipment, heated cabinets, and more. Learn more about InterMetro's storage solutions in their featured videos, below. Intermetro offers cart product lines to fit your needs such as: Lifeline, Flexline Starsys, & Basix. 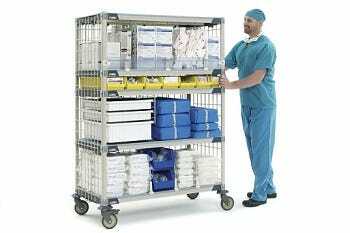 Carts range from basic utility carts to carts optimized for specific needs: emergency code response, anesthesia, case, isolation, procedure, treatment and other specialty carts. 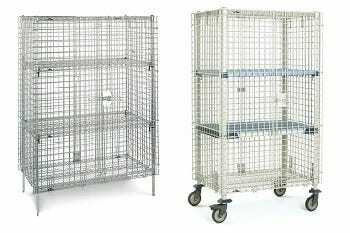 Intermetro provides a variety of shelving options including: it's revolutionary MetroMax polymer shelving. Intermetro offers Cabinets in a variety of sizes. 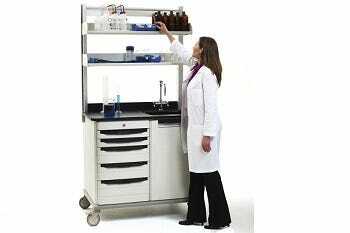 Starsys modular cabinetry facilitates fast, and agile reconfiguration. Intermetro Workcenters allow you to expand as your practice expands. Intermetro offers both mobile and stationary workcenters putting the power to change in the hands of the end user. 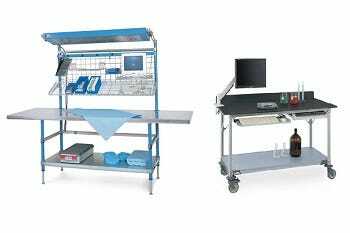 Intermetro Worktables; Intermetro offers both mobile and stationary worktables. Intermetro Security Storage protects valuable materials and sensitive items from loss or pilferage. The emergency cart designed for a code, not adapted for one. Tired of dealing with torn wraps in your facility’s sterile storage process?